It’s Fashion’s Night Out tomorrow and amongst many, many other exciting fashion and beauty happenings there’s a Limited Edition ‘Silver Odessy’ release from NARS happening – only available from 8th-10th September. 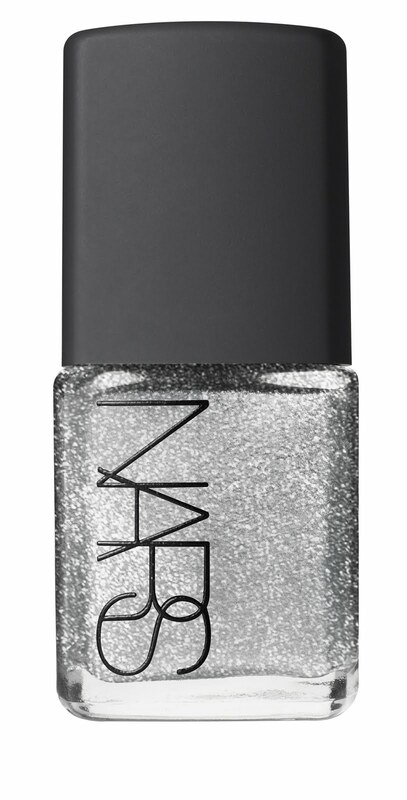 There’s a stunning silver ‘Space Odessy’ nail varnish called ‘aluminium’ (£13.50) and a ‘Via Crispi’ larger than life long-wear Eyeliner in ‘Silver’ (£17) both are available only from the NARS counter in Selfridges ONLY from 8th-10th September. So if you want them, make sure you get down there sharpish! PR sample of nail varnish received. It had to be while i’m away *sob* 🙁 Looks fab though!